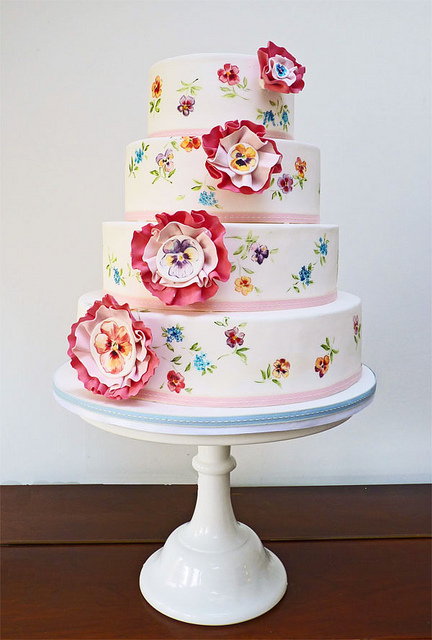 Beautiful hand-painted wedding cakes created by neviepiecakes. 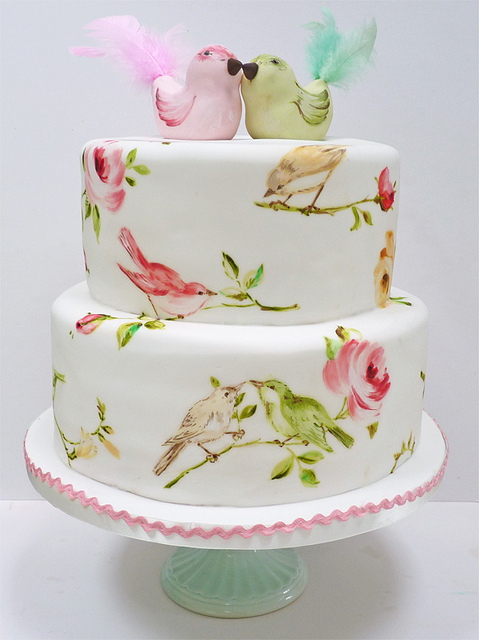 Stunning wedding cake with hand painted birds and roses. 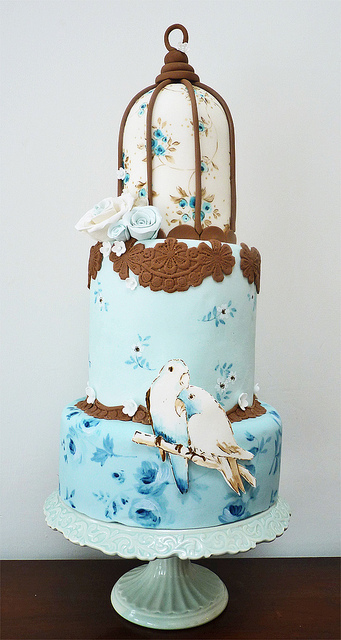 Gorgeous light blue bird cage wedding cake.